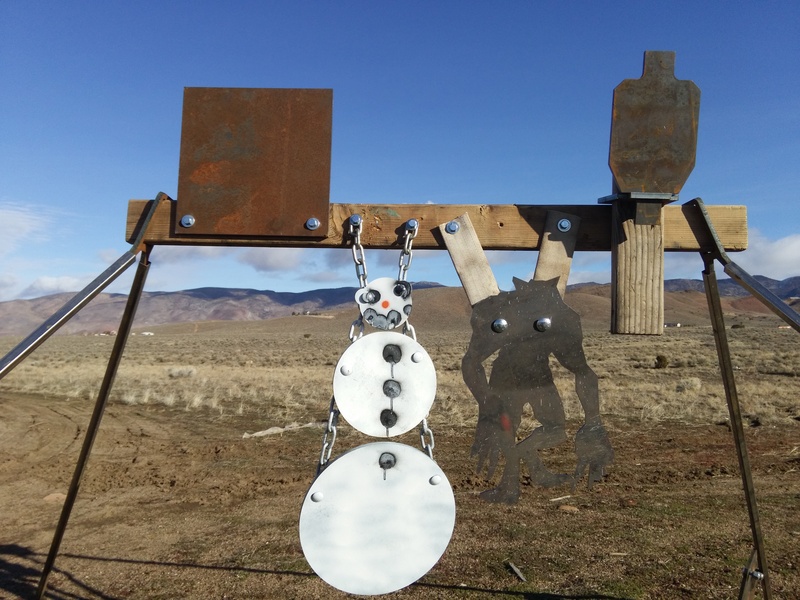 MOA Targets offers gongs in three different basic configurations: Just a bare piece of steel with no holes, tabs or whatnot; 1-3 holes; or with what we call the Universal Mounting Tab. Bolt on, two chains, two firehose straps, or the Universal Mount. 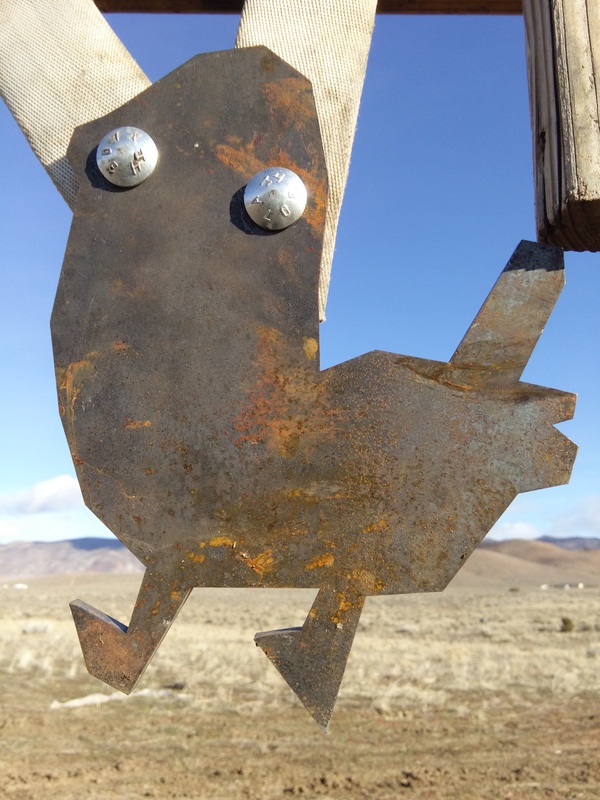 If you chose to go with the bare piece of steel, it’s a fair guess that this isn’t your first rodeo, and that you plan to weld it to something. 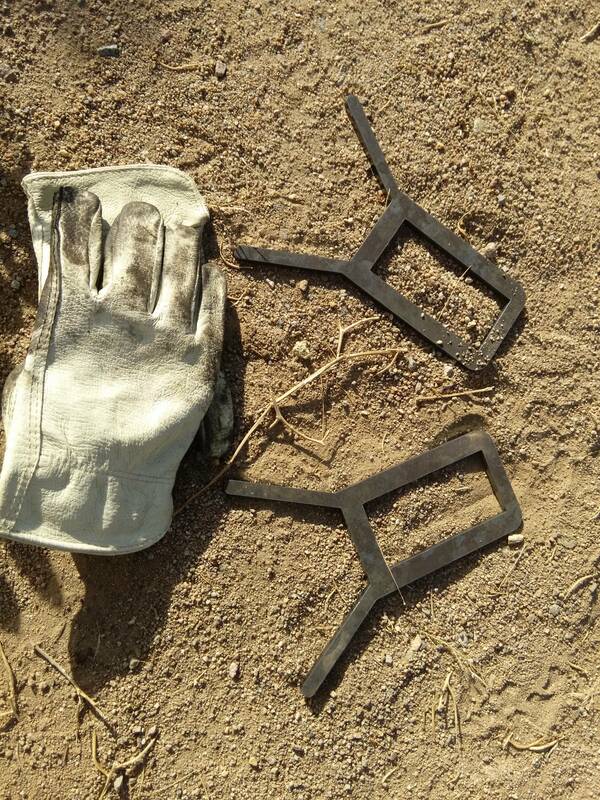 We don’t like welding AR steel, due to the trouble with weakening the temper of this heat treated steel, and failed welds being difficult to fix in the field. Knock yourself out if you want to do so though. Holes and tabs are where it’s at for us. With holes, flexibility is king. One hole is good, two holes is better, three holes can be useful but is generally overkill. With one hole, we recommend using a firehose strap, or two chains. You can get away with one chain, but it’ll twist and be a PITA to engage rapid fire. A single firehose will twist as well, but not nearly as bad as chain. With two chains you get away from most of the twist. Worst case, you can always just screw it to the crossbar. Two holes gives you some redundancy as well as stability. Two holes give you a more stable setup, and gives you some redundancy when you invariably blow out a bolt head or chain. Just like with one hole, you can always screw it to the crossbar. With two holes, you can also do fun stuff like daisy chain targets. 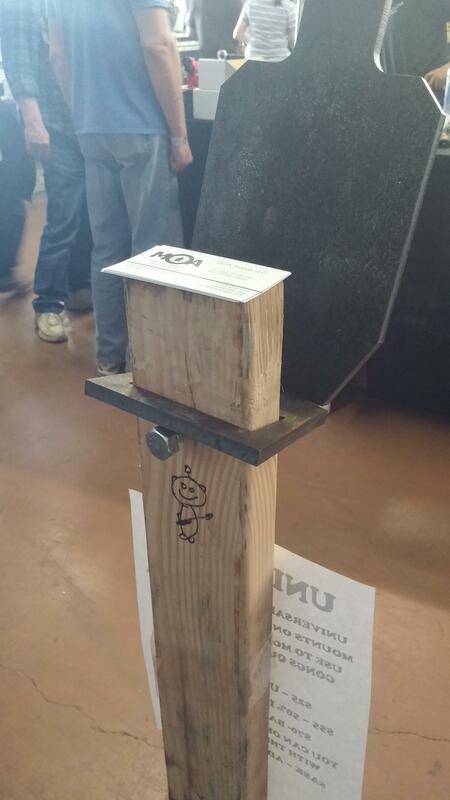 KISS – just bolt the sucker to the 2×4. 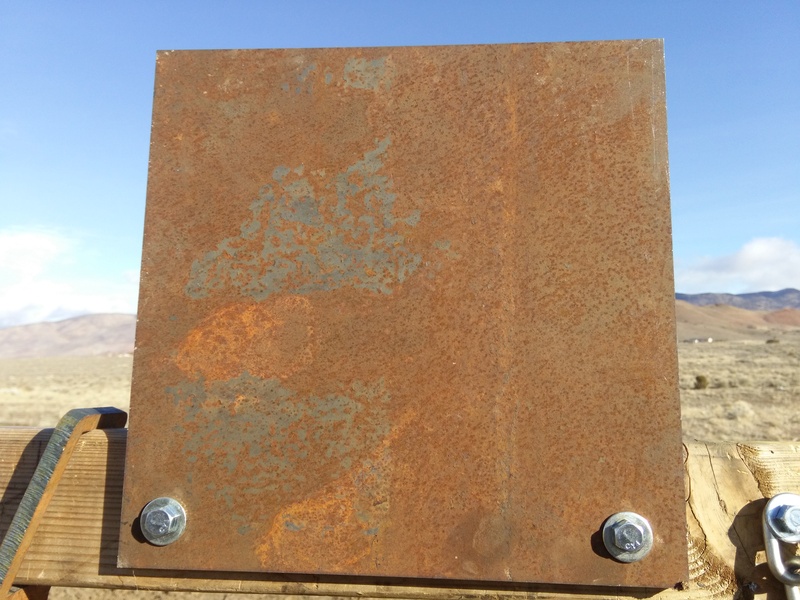 The two down sides to just bolting the target to the 2×4 crossbar (or whatever) is the inability to use carriage bolts, which reduce splash, and the reduced noise from strikes. Our testing has shown that the ability to swing has virtually no effect on target life, and increases the risk of engaging while the target isn’t facing at an appropriate angle. 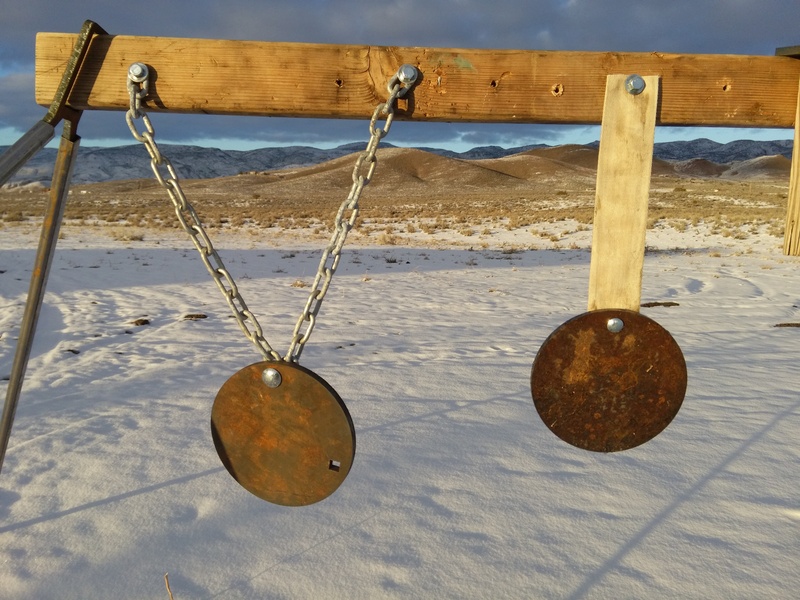 Three holes are generally put on a 2, 6, 10 o’clock pattern, with the 6 o’clock used to tie the target back at the optimal angle to and keep it from swinging. Neat, but often overkill. 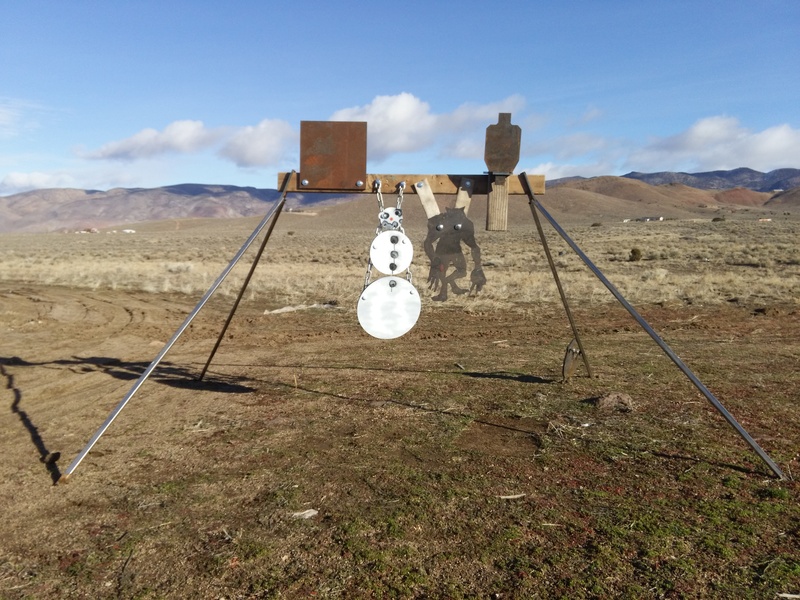 There’s a general recommendation, especially while shooting pistols, to lean the targets with the top towards the shooter at an angle of about 15 degrees. This helps direct splash (projectile fragments) towards the ground, and not the shooter. The MOA Universal Mounting Tab system slips over the top of the standard 2×4, and leans forward just right. This gives you a boltless mounting system that’s durable and easy to use. With a long vertical 2×4 (four foot or so), you can use the whole thing as a dropping target. A more refined version of that concept is available from MOA as the 417 Determined Attacker system. MOA Universal Tab and mount bracket, from the front. Universal System, from the back. Using the dropdown options when ordering a gong from MOA, you can request that a gong be cut with a Universal Mounting Tab, for use with the MOA Universal Mounting Bracket. Brackets are specific to target material thickness, but otherwise are interchangeable. 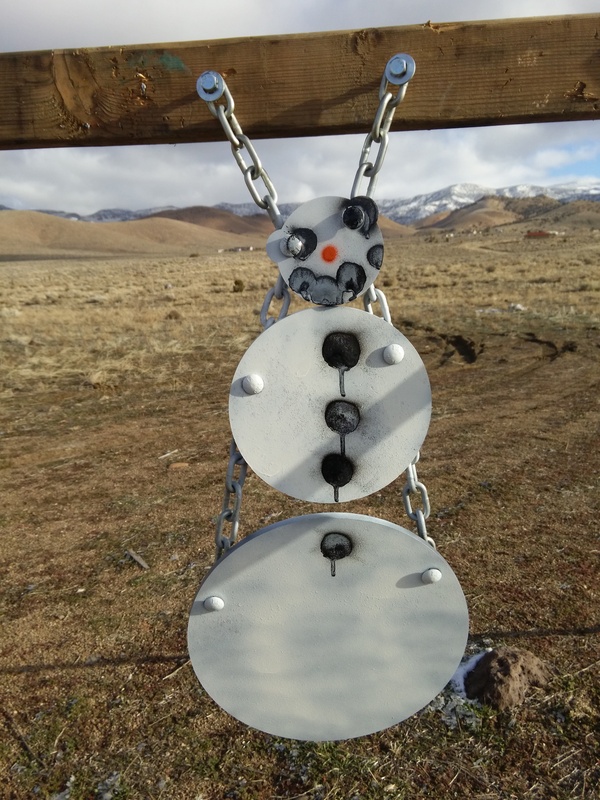 So there ya go, four easy ways to mount your gong target. 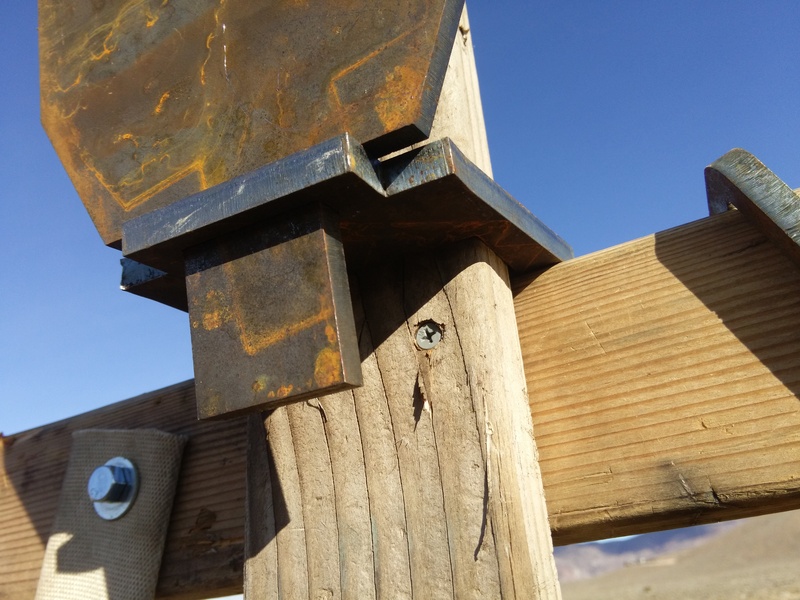 A-frame bracket system, a simple way to get in the field quickly. For those who are wondering what the wonderful A-Frame is, that’s the MOA A-Frame 2×4 bracket system. Stupid simple, and made of 3/8″ AR500 for long life. Also available to take round stock instead of a 2×4. Good luck, have fun, don’t die.